Hip-hop heavyweight 50 Cent has debuted a 6-minute short film to accompany his new track ‘9 Shots,’ the second single from his forthcoming sixth album Street King Immortal. Inspired by the 2000 shooting which left 50 Cent with nine bullet wounds, ‘9 Shots’ draws parallels from the infamous incident to nine painful moments that have defined him in his life. The video, directed by Eif Rivera, features 50 flanked by his G-Unit co-stars Tony Yayo and Lloyd Banks. In the cold-blooded clip, a desperate 50 seeks to reclaim money from Yayo – when his efforts aren’t prosperous, 50 turns violent and shoots him. The video follows Banks as he realises that 50 was behind the shooting, then putting a hit on 50 to avenge Yayo’s death. ‘9 Shots’ follows ‘Get Low (feat. Jeremih, 2 Chainz & T.I. )’ the first single from Street King Immortal, which has been streamed online over 3.06 million times worldwide and watched over 845,000 times on YouTube since it’s release. Street King Immortal is the long awaited sixth studio album from Grammy and 16-time Billboard Music Award winning rapper 50 Cent, following his return to music last year after a five-year break. In 2014 he released the guerrilla street album Animal Ambition, which peaked at #16 on the ARIA Charts and #4 on the US Billboard 200. 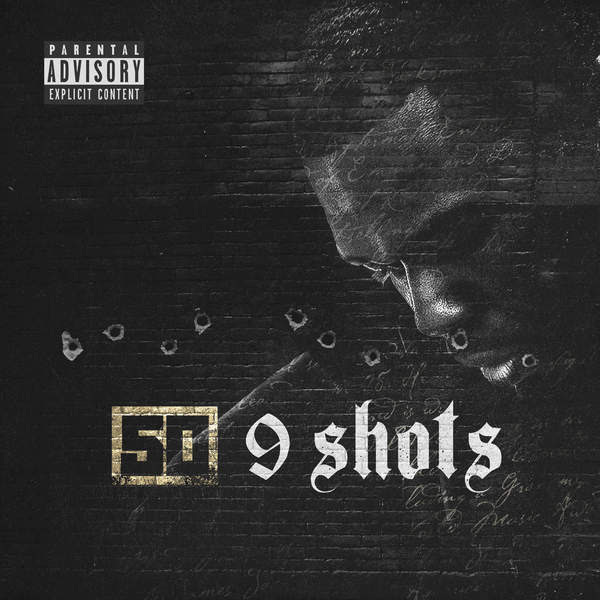 ‘9 Shots’ is available now via Caroline Australia. Previous Post Upfront Fridays: Adam Koots Sleeping In The Sink album launch Fri 4th Sept.